Hair removal is tricky, and not just because it can be extremely painful (ask someone who just experienced their first bikini wax, and they'll tell you). Some methods can cause irritation, especially if you have sensitive skin. I have heard multiple horror stories of people who tested out a new hair removal cream and ended up with a gnarly rash at worst or red, burning, and tender skin at best. No one wants that possibility looming over their head when it comes to hair removal, which is why so many have turned to natural products—or at least those that don't involve potent synthetic chemicals coming into contact with the skin. Whether that means a natural sugar wax, an epilator, or a laser, there are plenty of at-home options. You just have to find the one that works best for you. The most popular hair removal method—and one that's easy to eliminate harsh chemicals from—is shaving. As long as you're using a natural shave cream, the only thing coming in contact with your skin is the razor itself. If you experience post-shave irritation, try using a new razor each time you shave. Also reach for a nourishing shave cream, like Avalon Organics Unscented Aloe Shave Cream ($8), to remove friction on the skin. Then follow up with a moisturizer or body oil to prevent annoying razor bumps. For this method of hair removal, we like using Billie razors. The female-first company functions something like the Dollar Shave Club or Harry's Razors. It produces effective and inexpensive shaving products for women that don't cost more just because they're marketed toward women. In other words, they eliminate the "pink tax." 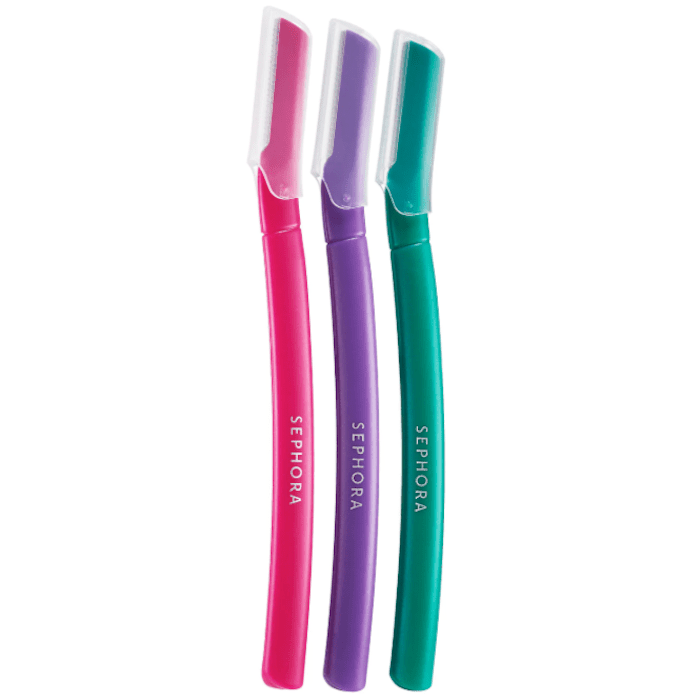 In the same vein as shaving, we also like small derma-planing razors, like this set of three stainless steel ones from Sephora's in-house brand. They're small and made for precise hair removal, anywhere (though they're especially handy at removing peach fuzz and shaping the eyebrows). Again, the only thing coming in contact with the skin is the blade itself, and by using light strokes, the potential for irritation or sensitivity diminishes. 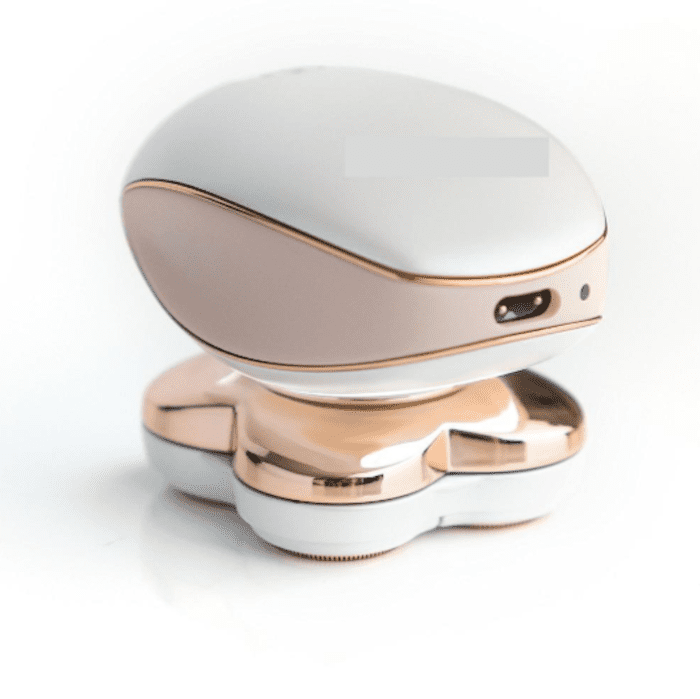 The Dermaflash is a derma-planing device, meaning it exfoliates the skin, removes peach fuzz, and smoothes the surface of the skin, which makes it a great option for facial hair removal. All you have to do is press the power button and run the superfine blade across your face. It sounds scary, but I promise it's not. I just tried the Dermaflash for the first time a few weeks ago after (happily) seeing it come across my desk. I can attest to its exfoliating and peach fuzz–removing powers. It only took five minutes to run over my face. As a result, my skin was smoother and my makeup applied more evenly. It's a win-win. There's also sugaring, which is another hair removal method that works the same way that waxing does but uses a sticky mixture of natural ingredients made mainly from (you guessed it) sugar. 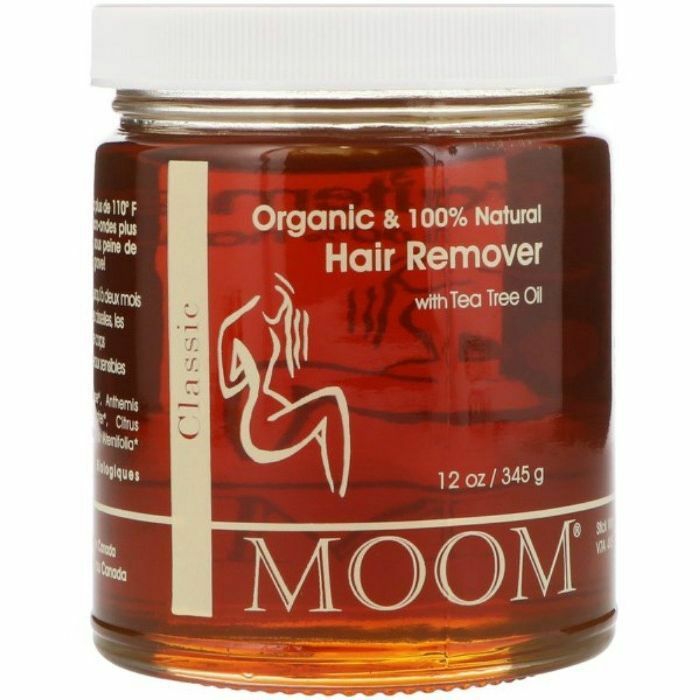 You can book an appointment at various hair removal salons or you can do it yourself, at home, with products like this one: Moom's Hair Removal Kit. It's made with sugar, tea tree oil, chamomile, and lemon juice. Apply it to your skin, press one of the included fabric strips atop of it, wait for it to dry down a touch, and then pull away. It can be used on the legs, face, bikini area, and underarms (so basically the whole body). Plus, it's water-soluble, meaning removal is easy if you accidentally apply it in the wrong place. As for this hair removal method, it's not a quick fix. 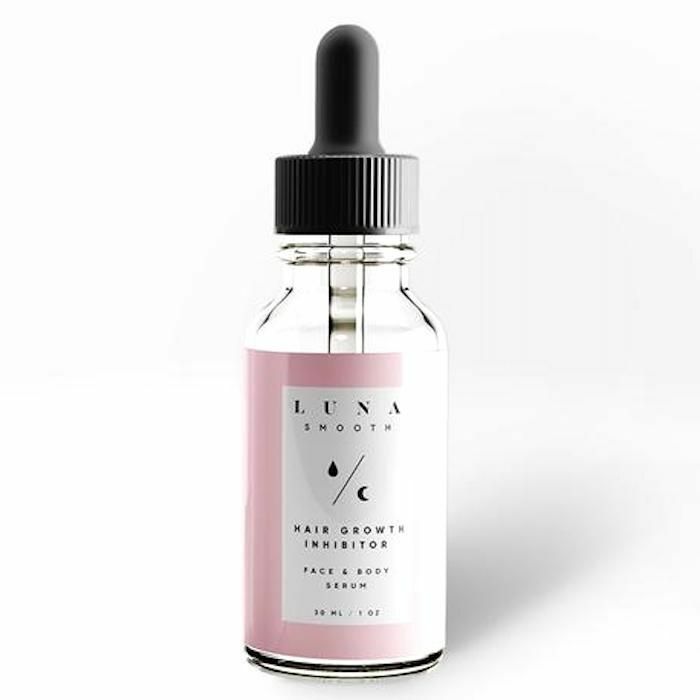 Luna Smooth makes a hair growth inhibitor, meaning it limits and reduces hair regrowth over time. Simply apply it to your face or body at night, and the natural ingredients will work their magic. Ingredients include water, aloe, hyaluronic acid, and celandine extract. 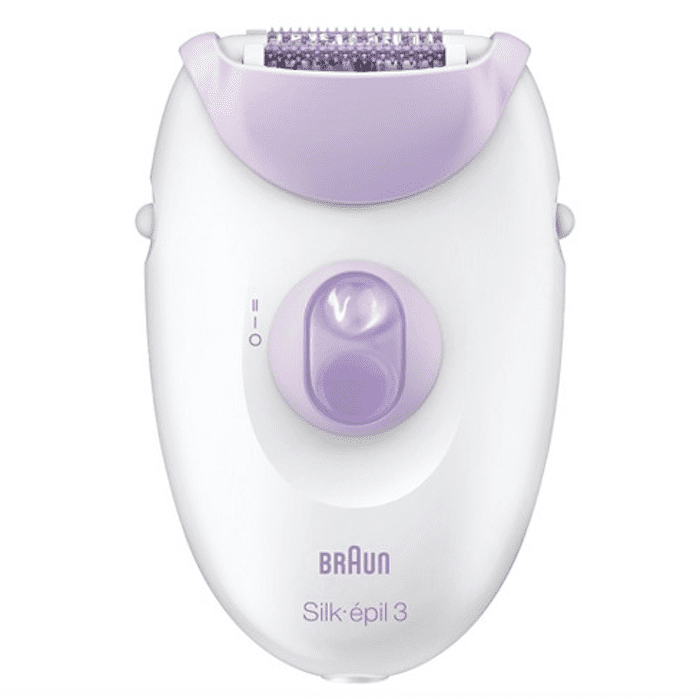 Then there's the epilator option. This one, like tweezing, isn't exactly a pain-free option, as it pulls out each individual hair that it rolls over. 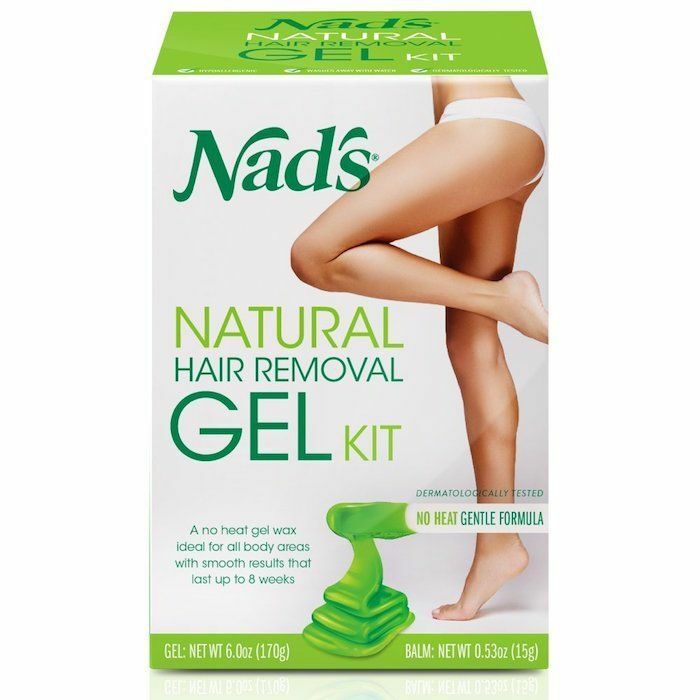 In other words, it's not a one-and-done hair removal method like waxing or sugaring. With that being said, it's easy to DIY and the results are long-lasting, up to a month at a time. Plus, you don't have to worry about the harsh chemicals that may be lurking in other traditional hair removal creams. Next, there's always the option for laser hair removal (whether in-office or at-home like with this Tria Beauty laser). The laser targets the pigment in the hair follicle and permanently stops it from regrowing new hair. While lasers aren't technically "natural," they can be less irritating to some people's skin than traditional hair removal methods if used safely and correctly (and they generally offer permanent results). Or you can source a gel wax like this from the drugstore—one that's made with natural and hypoallergenic ingredients. Since there's no hot wax involved, there's no chance of burning your skin (there is a big difference between hot and cold wax, after all). Plus, the brand promises that it's dermatologist-tested and safe for sensitive skin. Consider this strange little device an electric razor for your body. You can use it on hard-to-shave areas (like the knees and ankles), and it will sweep away hair with cuts or nicks to the skin. It has some glowing reviews for sensitivity, too. One reviewer writes, "I have eczema on my legs and a razor is just too … painful. This gave me a close and comfortable shave. It takes a little longer but is totally worth it! I find circular motions work best and it will give a nice close shave. Totally worth the money!" Now that you know about chemical-free ways to remove hair, read up on the art of perfecting facial hair removal.